As part of our endeavour to follow and promote ‘Made In India, Made For India’ philosophy, Global Nonwovens Limited participated in one of the prestigious textile exhibitions in India, Textiles India 2017. Organized annually in Gandhinagar, Gujarat, by Ministry of Textiles, Govt, of India, the exhibition saw an impressive participation from buyers, sellers and other stakeholders of the supply chain over 3 days. The event was Inaugurated by Hon’ble Prime Minister of India ‘Mr. Narendra Modi’ and turned out to be a huge success overall. As the leading player of nonwovens in Indian Hygiene market, Global Nonwovens is already associated with almost all big brands like P&G, Kimberly Clarke, Johnson & Johnson, Unicharm, etc. and striving to expand its customer base even further. 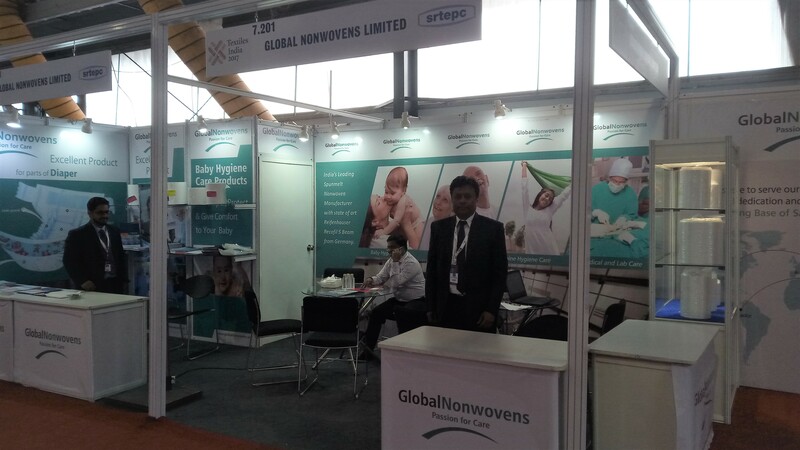 Through this event, Global Nonwovens presented some of its newest products and held several fruitful discussions with new as well as existing clients. Serving Indian market is not an easy task considering its size, diversity and ever evolving nature, and Textiles India gave us a perfect platform to understand the latest developments, trends and growing demands of the same.